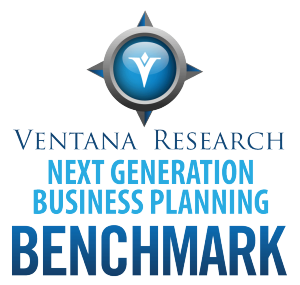 Our benchmark research on next-generation business planning finds that a large majority of companies rely on spreadsheets to manage planning processes. For example, four out of five use them for supply chain planning, and about two-thirds for budgeting and sales forecasting. 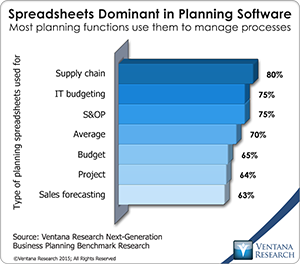 Spreadsheets are the default choice for modeling and planning because they are flexible. They adapt to the needs of different parts of any type of business. Unfortunately, they have inherent defects that make them problematic when used in collaborative, repetitive enterprise processes such as planning and budgeting. While it’s easy to create a model, it can quickly become a barrier to more integrated planning across the business units in an enterprise. 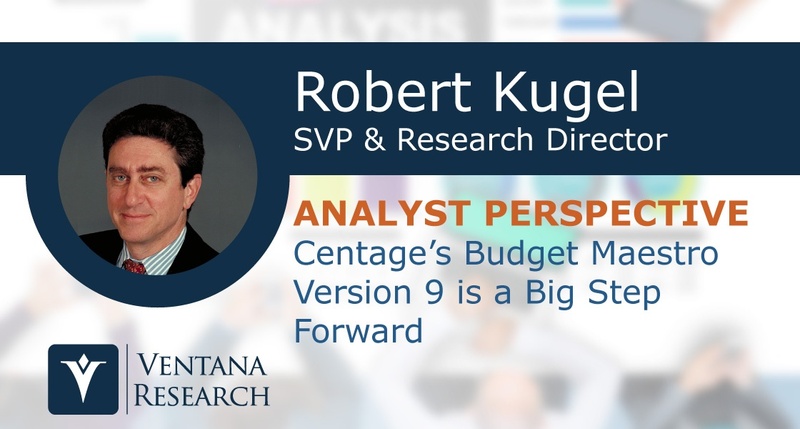 As I’ve noted before, software vendors and IT departments have been trying – mainly in vain – to get users to switch from spreadsheets to a variety of dedicated applications. 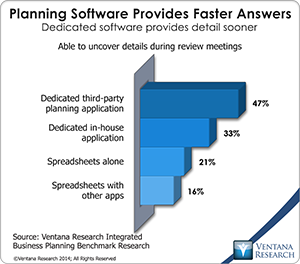 They’ve failed to make much of a dent because although these applications have substantial advantages over spreadsheets when used in repetitive, collaborative enterprise tasks, these advantages are mainly realized after the model, process or report is put to use in the “production” phase (to borrow an IT term). Business planning includes all of the forward-looking activities in which companies routinely engage. Companies do a great deal of planning. They plan sales and determine what and how they will produce products or deliver services. They plan the head count they’ll need and how to organize distribution and their supply chain. They also produce a budget, which is a financial plan. The purpose of planning is to be successful. Planning is defined as the process of creating a detailed formulation of a program of action to achieve some overall objective. But it’s more than that. The process of planning involves discussions about objectives and the resources and tactics that people need to achieve them. When it’s done right, planning is the best way to get everyone onto the same page to ensure that the company is well organized in executing strategy. Setting and to a greater degree changing the company’s course require coordination. Being well coordinated in this case means being able to understanding the impact of the policies and actions in your part of the company on the rest of the company. 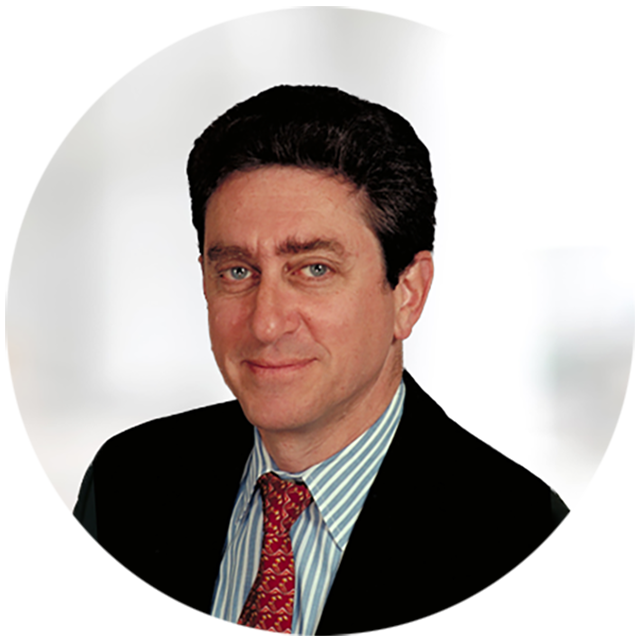 Planning portfolio risk follows the same basic tenets as other sorts of business planning. It must be done in the context of a time dimension. In business, short-term plans are developed with a lot of givens or constraints. For example, capacities are fixed, because it’s impossible to wave a magic wand and bring a new factory on line, stuff more machine tools into already jammed facilities or source more raw materials in a capacity-limited supply chain. Short-term plans also incorporate assumptions about external forces (such as the economy, competitive moves or regulation) that are fixed or change very little in this period. 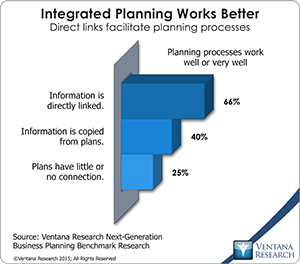 By contrast, long-range or strategic planning is relatively unconstrained. The countries, markets or products that an organization can offer, for example, are not limited by current conditions. Indeed, that’s an essential point of long-range planning: assessing the impact of significant changes to today’s givens or assessing how to manage the impact of expected future trends.